I have been using basically the same skincare routine since the day I turned 30. Back in January I did change up the moisturizer to one for older skin by the same brand. I don’t wear a lot of makeup, most days I wear none. I have been very regular with my routine for over 20 years my skin is decent with few lines or wrinkles. Unfortunately my skin tone is very uneven and I have dark circles under my eyes. I just figured this is how my skin would be as I continued to age. Over the past two years I have changed out several products that I use on my body and around my house for healthier products, I never changed my skincare routine because I felt it was working. I recently learned that the European Union has banned 1300 ingredients commonly found in skincare products, but the US has only banned less than 15?!? I looked up the ingredients in the skincare products I have been using for over 20 years and several of them would be banned in the European Union. Plexus Joyōme has banned all of the ingredients on the European Union list and then some more. Our “Absolutely Not” list includes common skincare ingredients including parabens, BHA, BHT, Phthalates, Propylene Glycol , Sulfates and more! Joyōme’s patent pending microbiome balancing complex brings a revolutionary approach to skincare that uses your skin’s natural beneficial microbes to achieve visible change and real results. As of Tuesday, May 8, 2018 I have switched to the Plexus Joyōme skincare regime. That means in the morning I am washing my face and applying 3 pumps of Joyōme Illuminating Day Serum and then, if desired, applying my make up. 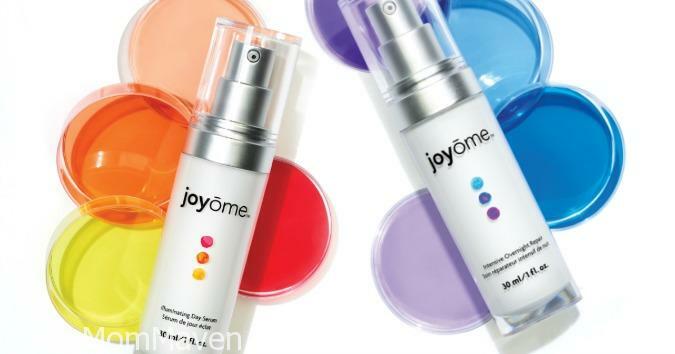 In the evening I will wash my face and apply 3 pumps of the Joyōme Intensive Overnight Repair Serum. That’s it! It can’t be any easier. I will be documenting my results in my Plexus VIP Facebook group just click the link to join my group. Joyōme, like all of our Plexus products, comes with a 60 Day money back guarantee so it is truly risk free. Joyōme will be available to the general public starting June 7, 2018. It is currently available to new Plexus Ambassadors who join before May 25, 2018. Currently the joining fee is only $9.99 (through 5-25-18) instead of the usual $34.95 using the promo code SIGNMEUP. Joyōme is available in a $99 Welcome Kit and a $199 Welcome Kit, the choice is yours but the $199 kit is an amazing value and you get all of our top selling products plus Joyōme! To join just visit my Plexus website. Want to try Joyōme for yourself? 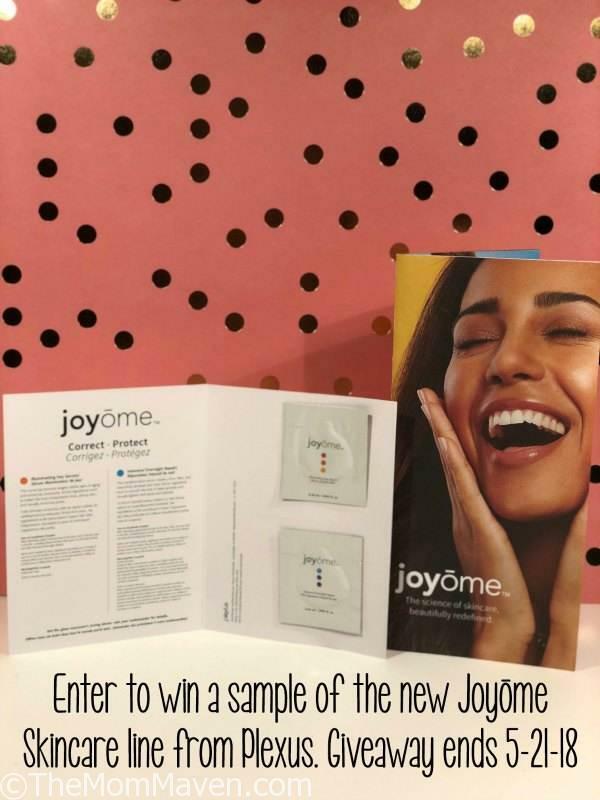 Two lucky winners will receive a Joyōme sample pack, pictured above. This giveaway is open to US residents only. The winners will be chosen by Rafflecopter and verified. The winner will be notified via email and they will have 48 hours to claim their prize. This giveaway ends at 12:00am on 5-21-18. The company makes products with the highest quality GMO ingredients. I learned they have high quality GMOs! I learned you get a 60 day guarantee with purchase. I learned that the product works to restore balance to your skin microbiome. The intensive overnight repair sounds amazing!